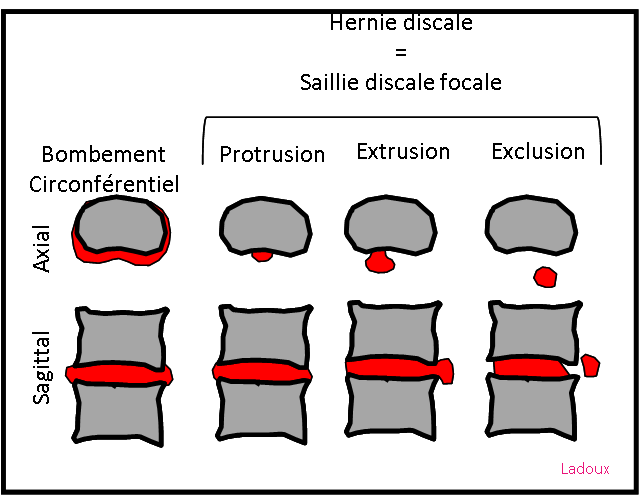 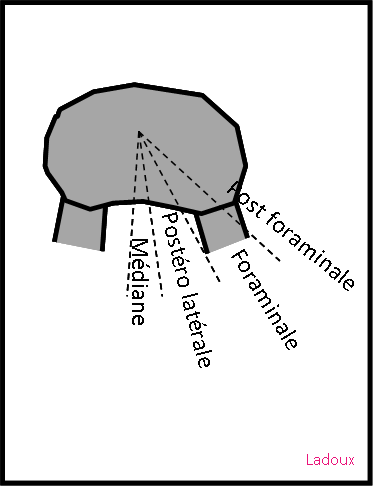 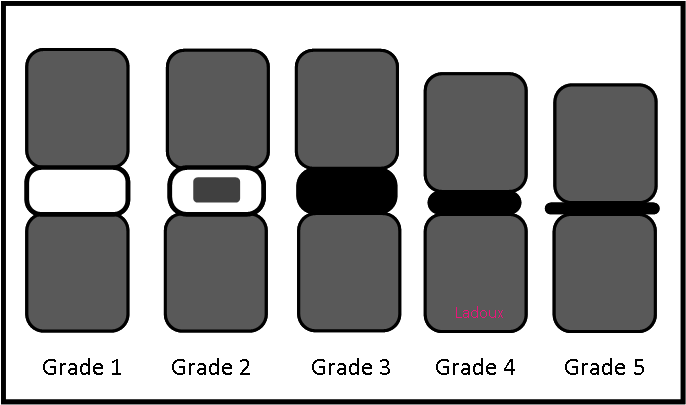 Grade 5 : disparition de la visualisation du disque et débord discal circonférentiel. 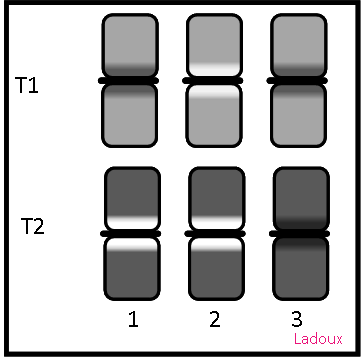 Source : Schizas, C., Theumann, N., Burn, A., Tansey, R., Wardlaw, D., Smith, F. W., & Kulik, G. (2010). 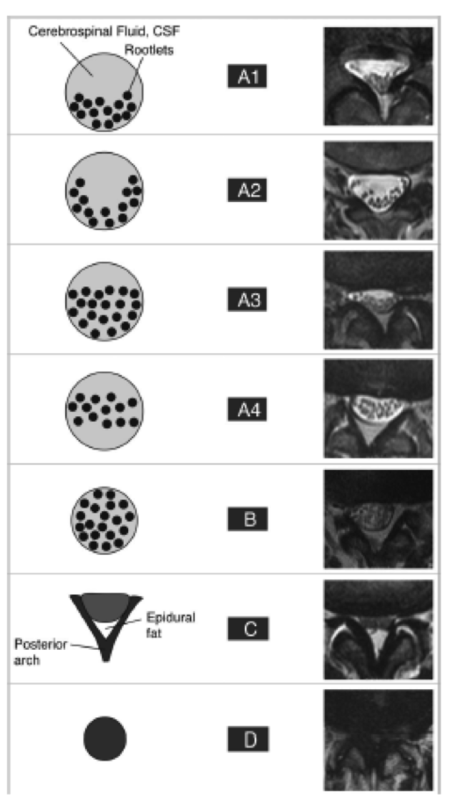 Qualitative grading of severity of lumbar spinal stenosis based on the morphology of the dural sac on magnetic resonance images.Spine, 35(21), 1919-1924.